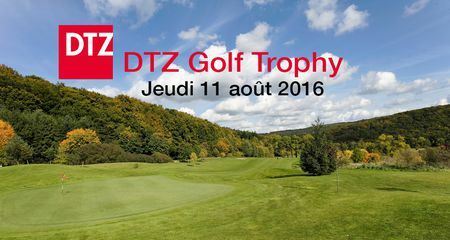 Dear golfers, We invite you to participate to the DTZ Golf Trophy to be held at Belenhaff on Thursday 11 August 2016. The formula of play is scramble stableford. Each participant will receive a gift bag and many special prizes are waiting for you. Register here: www.golftrophy.lu The 3-day event will be completed by a walking dinner and prize giving ceremony at Sofitel Luxembourg Le Grand Ducal. We look forward to welcoming you at this event. Holiday Travel Golf - join us as every day is an event!